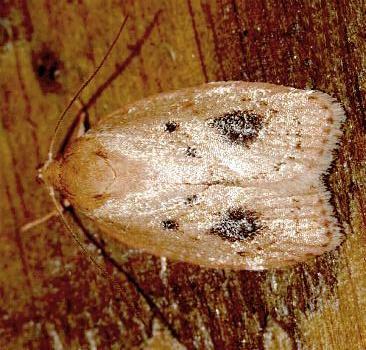 The adult moth has pale brown wings, with one large and two small dark spots near the middle of each forewing. 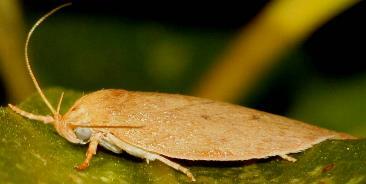 The hindwings are a silky pale brown. It has a wingspan of about 1.5 cms. Melbourne University Press, 1990, Pl. 4.9, p. 222. CSIRO Publishing, Melbourne 1994, pp. 21, 24-26, 295, 298, 301, Figs. 556, 562, 563. Volume 10 (1855), pp. 152-153.